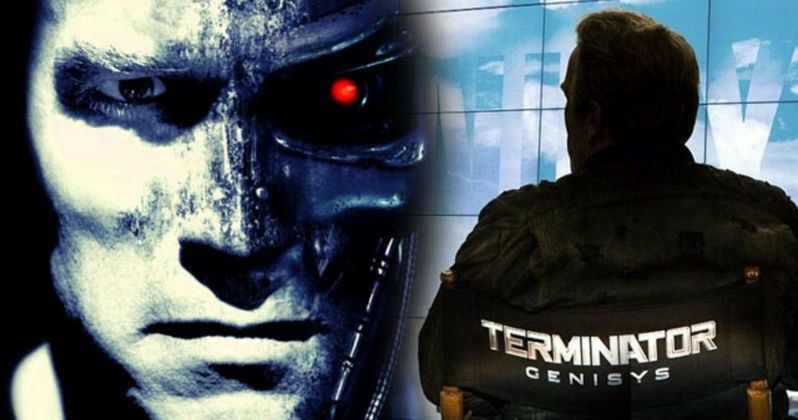 Terminator Genisys Sequels Get 2017 and 2018 Release Dates! Just weeks after production wrapped on Paramount's Terminator Genisys, the studio has announced release dates for two untitled sequels. The first follow-up will hit theaters on May 19, 2017, while the second will debut on June 29, 2018. The first sequel currently has the release date all to itself, while the third movie will be going up against an untitled animated project from 20th Century Fox and Blue Sky Studios. It seems likely that Paramount will shoot both sequels back-to-back, with the release dates just over one year apart, but that hasn't been confirmed at this time. The news of two sequels isn't terribly surprising, though, since Paramount announced in June 2013 that Terminator Genisys will be the first in a new trilogy. Production companies Annapurna Pictures and Skydance Productions also announced in December that they are developing a TV series tie-in, that will be spawned from a critical moment in the 1984 original classic The Terminator, taking the franchise in a completely different direction than the movies before it. The plot of Terminator Genisys and its sequels are being designed to intersect with the show. It remains to be seen if Terminator Genisys director Alan Taylor will be back to direct these follow-ups, or which cast members from the sci-fi action-thriller will be back for the sequels.